Politics • Citing desire to spend more time with family, Litvack to leave the House; Morgan to leave the Senate. Tribune file photo Rep. David Litvack (D-Salt Lake City) Rep. Karen Morgan speaks at a press conference at the Utah Department Of Health to announce a $1 million gift from donor Jon Hunts Scott Sommerdorf | The Salt Lake Tribune Rep. David Litvack, D-Salt Lake City, House Democratic leader, announced M Sen. Karen Morgan, D-Cottonwood Heights. 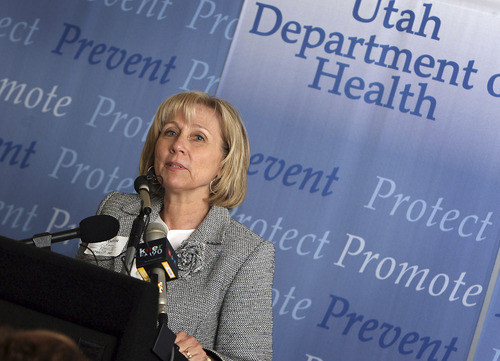 Tribune file photo Rep. David Litvack (D-Salt Lake City) Rep. Karen Morgan speaks at a press conference at the Utah Department Of Health to announce a $1 million gift from donor Jon Huntsman for education on and prevention of cervical cancer. The money will help detect and prevent the disease using the Gardasil vaccine. 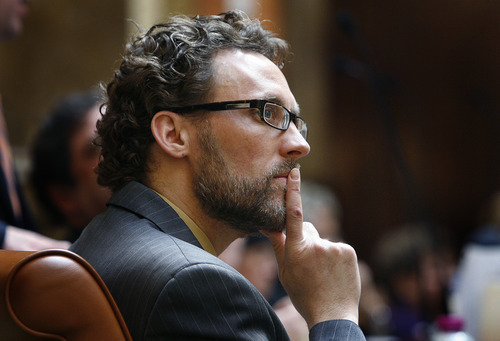 Ryan Galbraith The Salt Lake Tribune 4.04.07 Scott Sommerdorf | The Salt Lake Tribune Rep. David Litvack, D-Salt Lake City, House Democratic leader, announced Monday that he will not seek re-election this fall. "I've spent a long time on Capitol Hill," said Litvack, "and it has been an honor.... but after 12 years in the Legislature it's time to let someone else take the reins so I can spend further time with my family." Sen. Karen Morgan, D-Cottonwood Heights. When arguably the most powerful Democrat on Capitol Hill walked into House Speaker Becky Lockhart's office Friday afternoon, she already had an idea something big was going down. Then David Litvack lowered the boom. He told her he was retiring as a representative and his position for the past four years as the House Minority Leader. "I consider him a very good friend," Lockhart said, sitting at her desk Monday, eyes rimmed with tears again. "I've learned from him  how to be classy and graceful." When he finished telling her that afternoon, Litvack called his wife to tell her he'd informed Lockhart. Litvack said he then "bawled like a baby." "That's when it became real," he said. On Monday, he made it official  with an announcement at the Democrats' caucus lunch. And he wasn't the only Democrat to announce he was retiring. 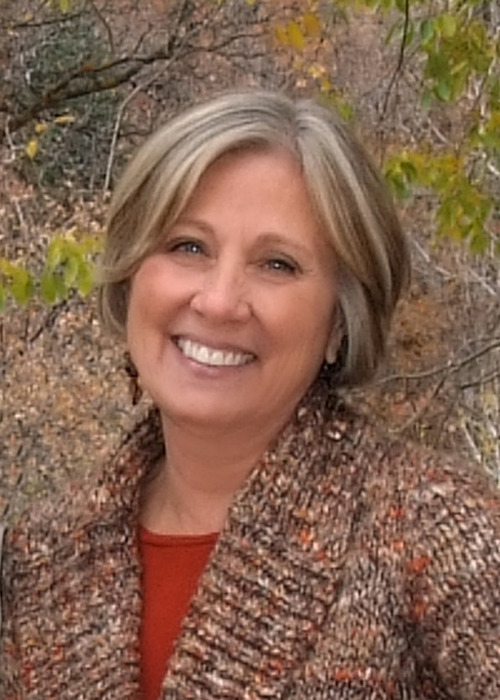 Senate Minority Whip Karen Morgan, D-Cottonwood Heights, said she won't seek re-election either. Both said they wanted to spend more time with their families. For Litvack, to be with his wife and two children. For Morgan, to spend time with her three grandchildren. "Last week, I missed a talent show. Last Wednesday, we're here until 11 p.m. and when I got home, the kids were already asleep," Litvack said. "The next morning, I left at 6:45 a.m. and kissed my kids, who were still sleeping." Morgan  who was asked to run for governor and declined  said her 16 years in the Legislature was long enough. "I have a big family and darling grandchildren I love spending time with," she said. "They are my highest priority." The loss of both Democrats leaves large holes in leadership. Senate Minority Leader Ross Romero, D-Salt Lake City, announced months ago he wouldn't be returning because he's running for mayor of Salt Lake County. Litvack's district was combined with that of fellow Democratic Rep. Brian Doughty during the recent redistricting. Had he sought re-election, the two minorty party members would have run against each other  Doughty had already made clear he will compete for the seat. 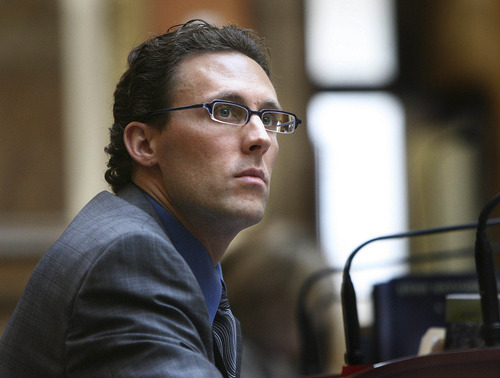 Litvack's departure seemed to affect colleagues on both sides of the political aisle. Rep. Jennifer Seelig, D-Salt Lake City, cried in a corridor outside the House Chambers when talking about Litvack. She said she considered him a mentor and a friend. "I think we're losing a great leader and a great consensus builder for our group," Seelig said, wiping her eyes. "He is a person of strong vision and compassion." Gayle Ruzicka, president of the conservative Utah Eagle Forum, said she would miss Litvack as well. Watching him in the House, she thought about how they sat across from each other trying to hammer out controversial legislation involving hate crimes. She said he was always willing to listen and to treat her with kindness and respect. "We came to an agreement on that," she said. "And you know, since then, that issue hasn't come up since." She also bestowed upon him the golden Eagle Forum pin. As one of the body's two Jewish lawmakers ("When he was elected, he doubled our numbers," said Rep. Patrice Arent, D-Millcreek, who is also Jewish), Litvack said he never intended to enter politics. His only other foray into the arena was when someone wrote him in on a ballot to be a student senator at Westminster College. But the lawmaker has learned one thing in politics since being elected in 2000  never say never about another run. "Who knows?" he said with a laugh. Litvack said when he told his son he was retiring, he said he was somewhat surprised  and moved  by what his response was. "He said  and I'm paraphrasing  'Who is going to fix things?' " Litvack said. " 'Who is going to help people?' "
"And if that's his impression, then that makes me very proud."